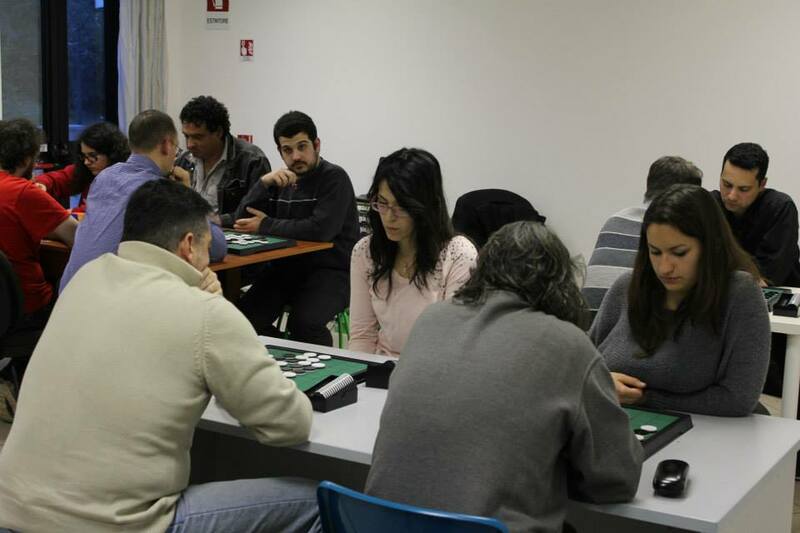 Read more on our special EGP Rome page. 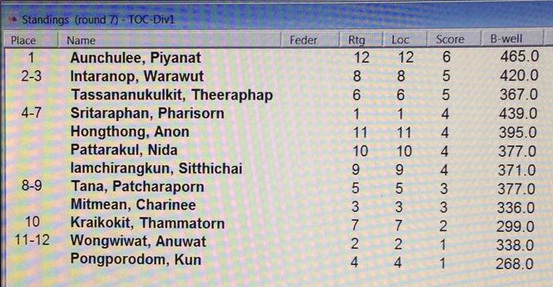 Piyanat Aunchulee won 6 out of 7 games on the first day of the tourney. On the second day of the championship 7 more rounds will be played in 2 divisions and a final. 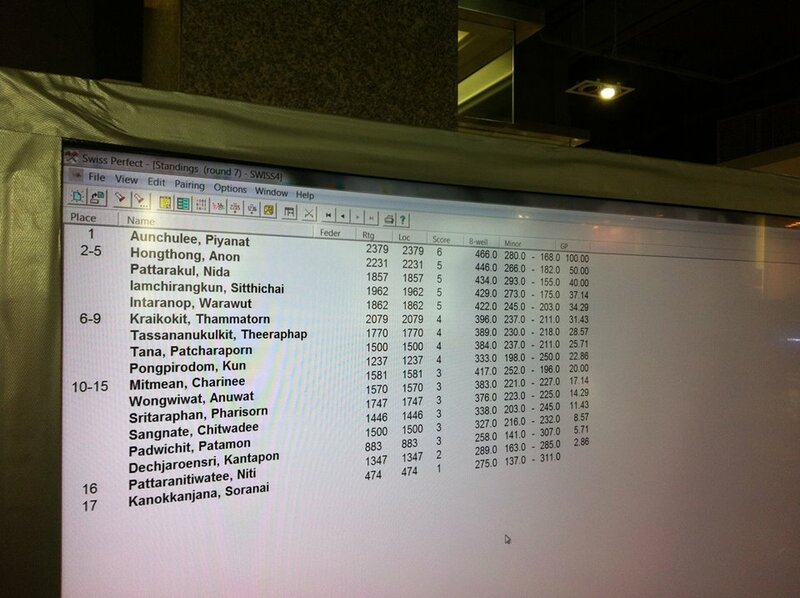 Piyanat Aunchulee qualified for the final with 6/7. 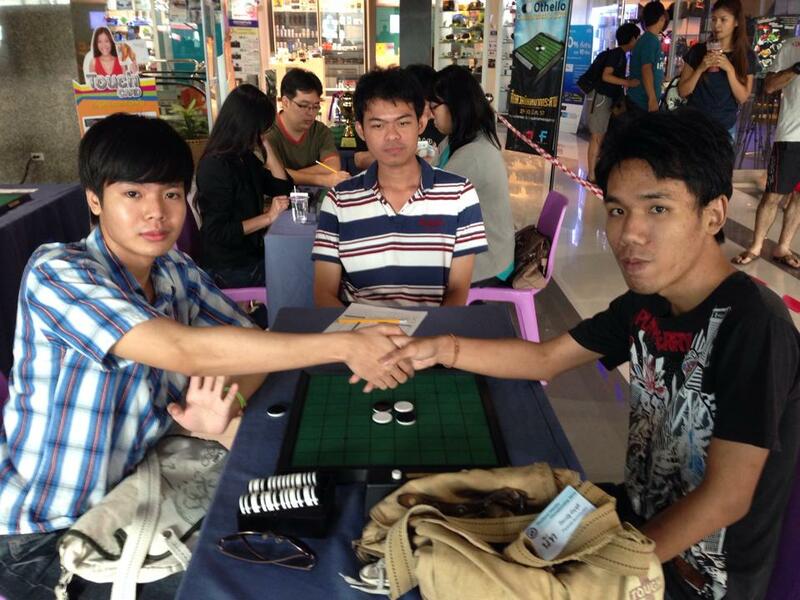 Warawut Intaranop and Theeraphap Tassananukulkit played a playoff for the other spot in the final. 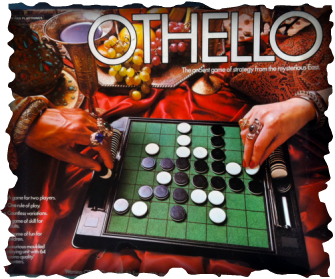 The World Othello Federation is now working with the new W.O.F homepage and also creating new email lists for the World Othello. All Federations Contact persons will get an invitation to the new emaillists and get the Othello bulletin and W.O.F/W.O.C. information. 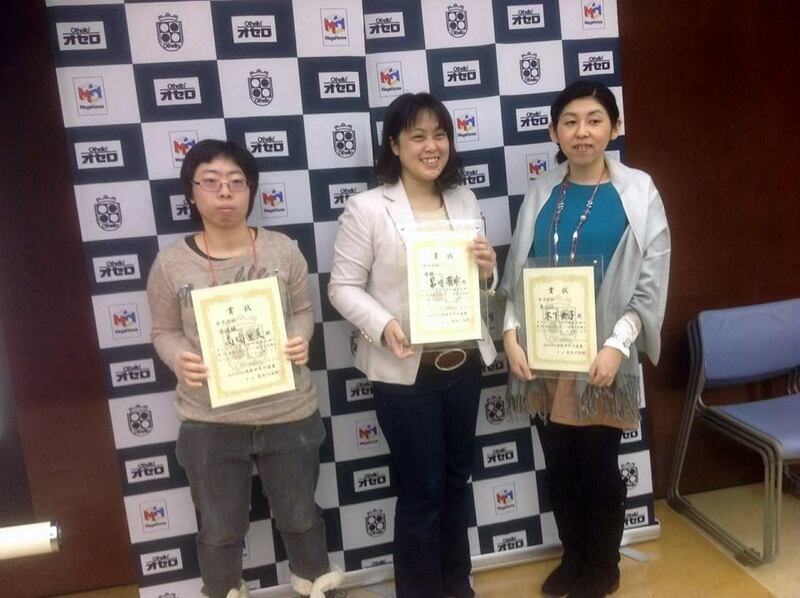 If you are NOT an W.O.F. 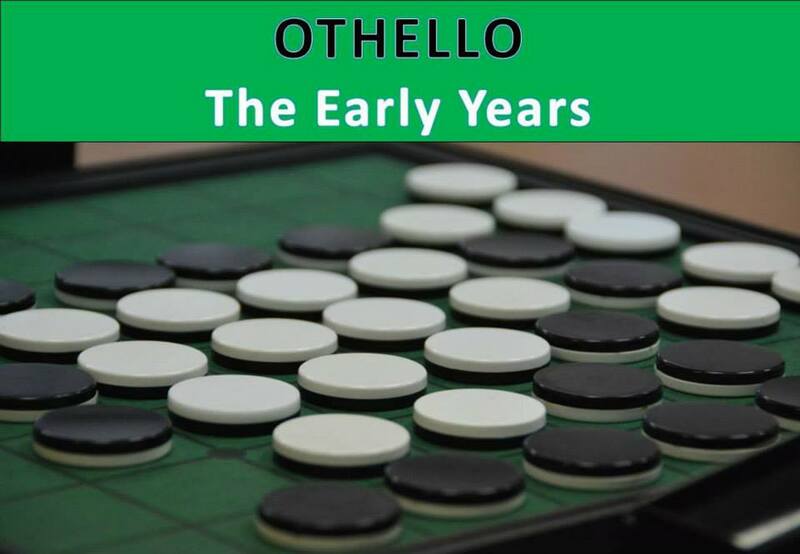 Contact person, but also want to get the Othello Bulletin every month and other information in you can subscribe here. 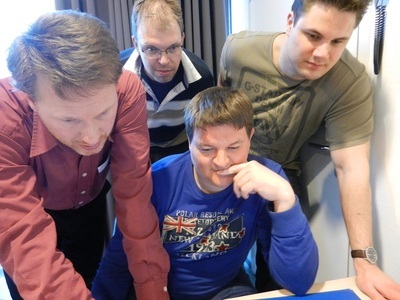 We hope that the new homepage and the new ways to fast send out information to you will be good! 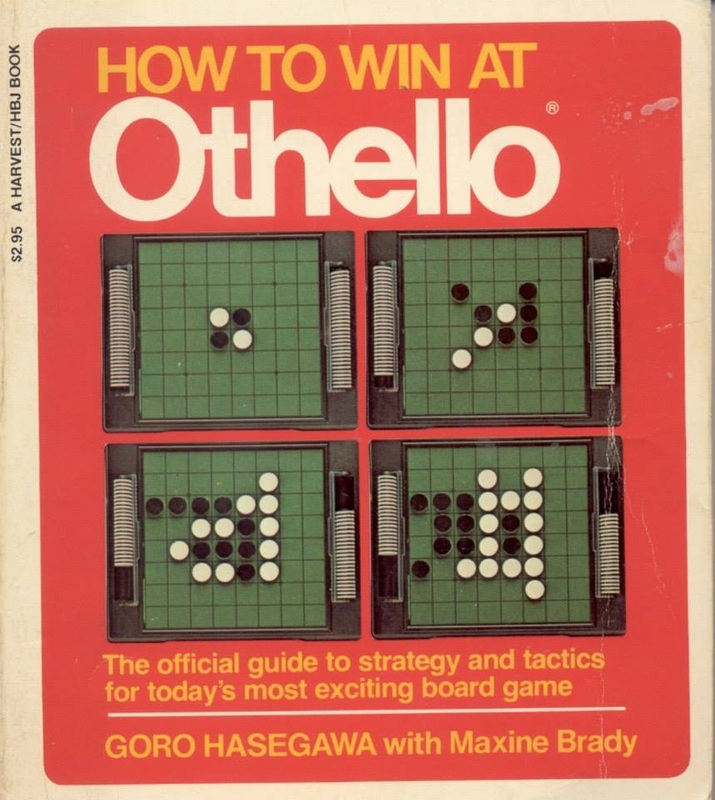 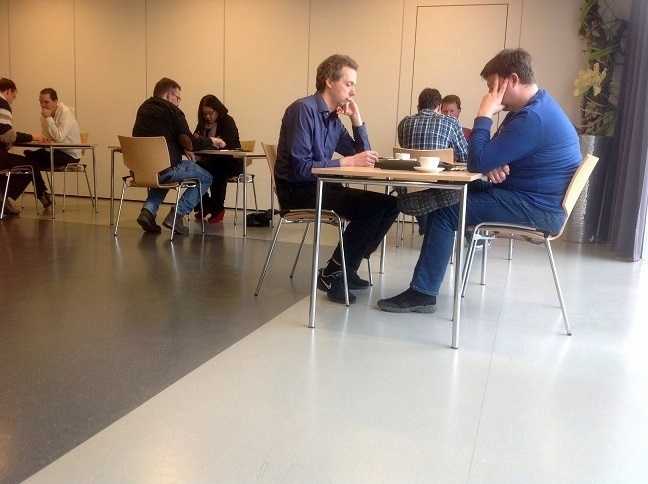 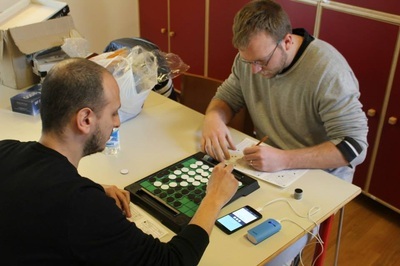 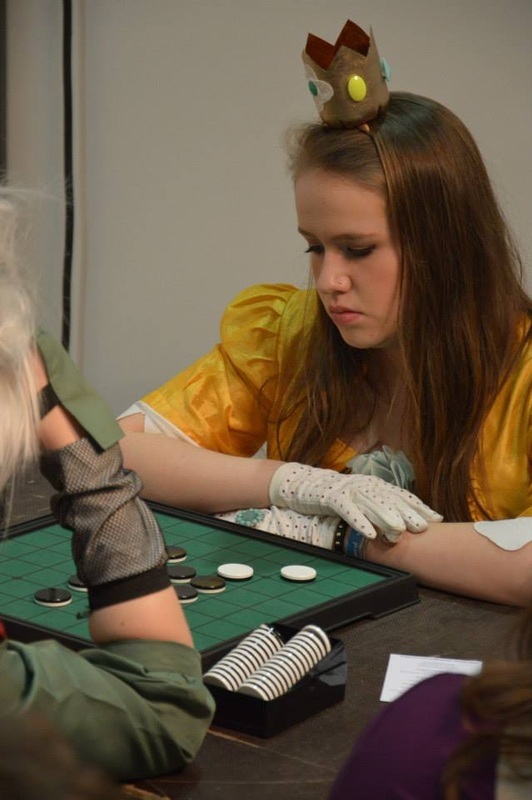 At the end of a course of Othello, a tournament was held for 26 players. 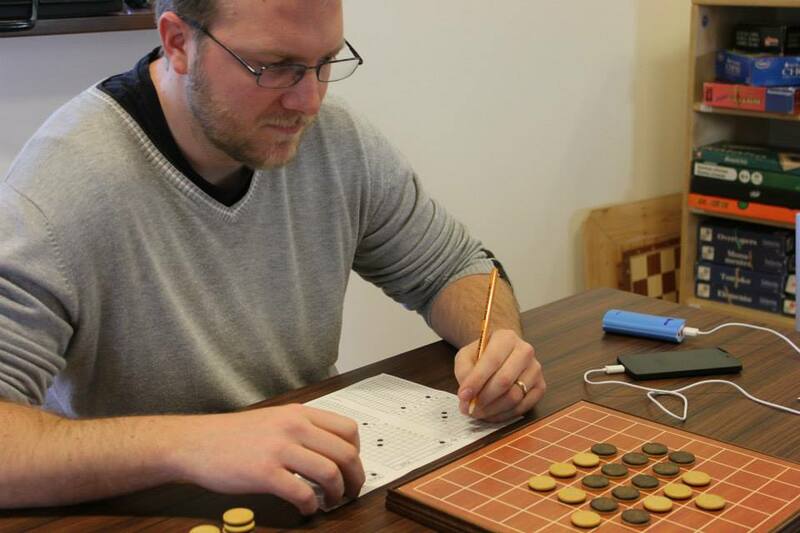 The main tourney was won by Michael Diodati, who won all 5 games. Second place for Leonardo Caviola with 4 points. 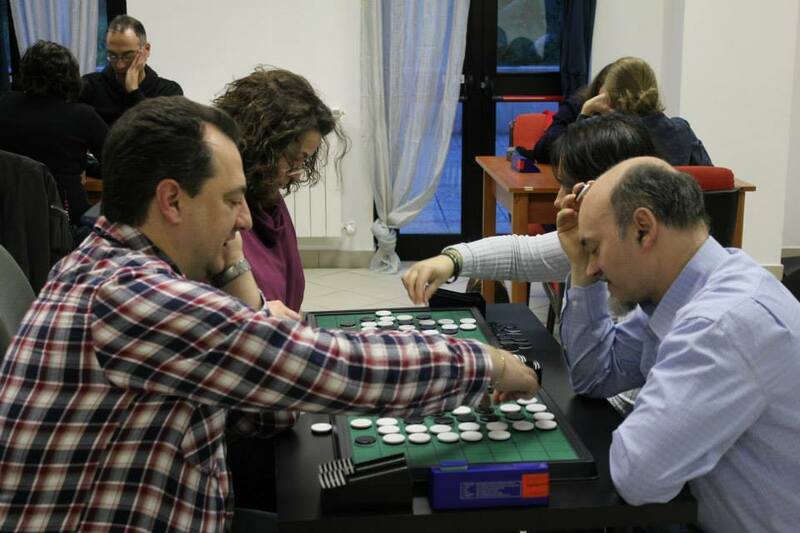 Also 4 points for Alessio Cenci, Giulia Debertolis and Veronica Piccinni. 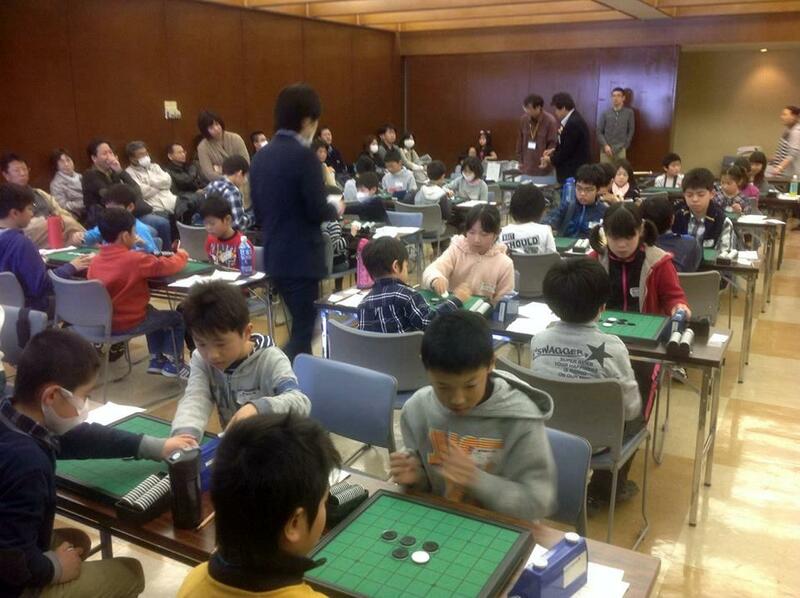 At the same time there was a tournament for kids up to 12 years. A very exciting event for 10 enthusiast children. 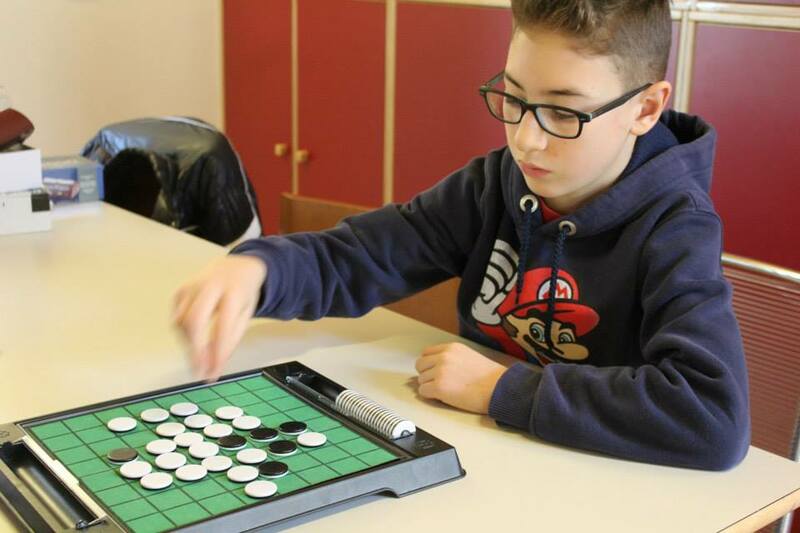 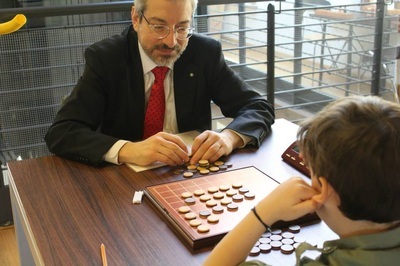 Winner was Valentino Giannini (10 years old) who scored four wins out of four. Second place for Daniel Arfire (11) with 3 points and also 3 points for Riccardo Carabetto (11). 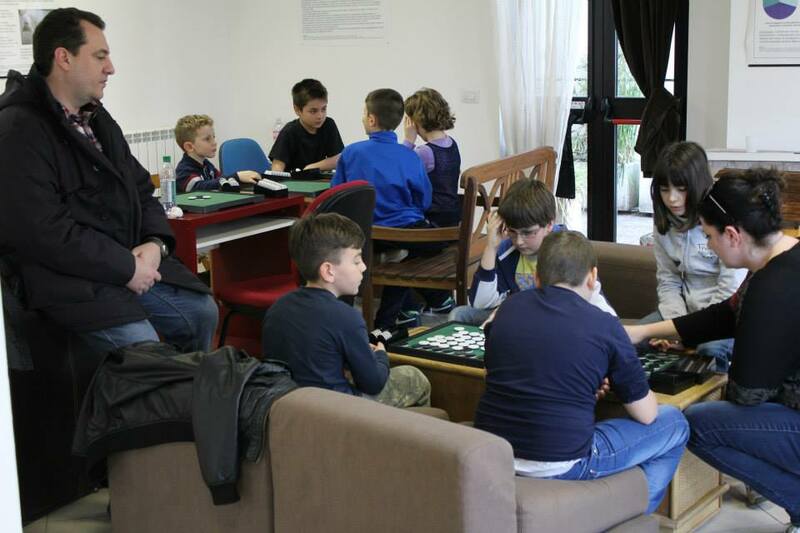 Just behind them with 2 wins, the two youngest players, both 7 years old, Chiara Di Mattei and Alessandro Ortiz. Most of the kids had followed all three classes of the course and they showed they had learned a lot about the basics of this game. 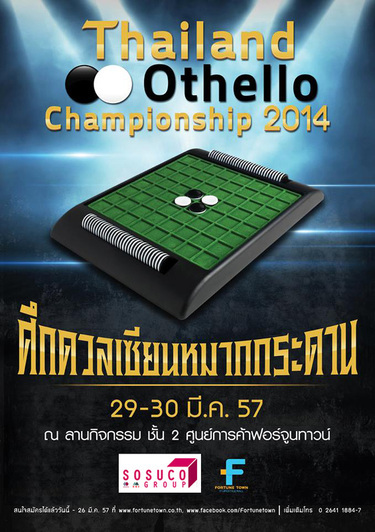 The Australian Othello group would like to cordially invite you to the Nationals being held just outside of Sydney. This will be an exciting event as the best Australian players will be playing in this tournament headed by Matt Vinar our current Australian Champion. 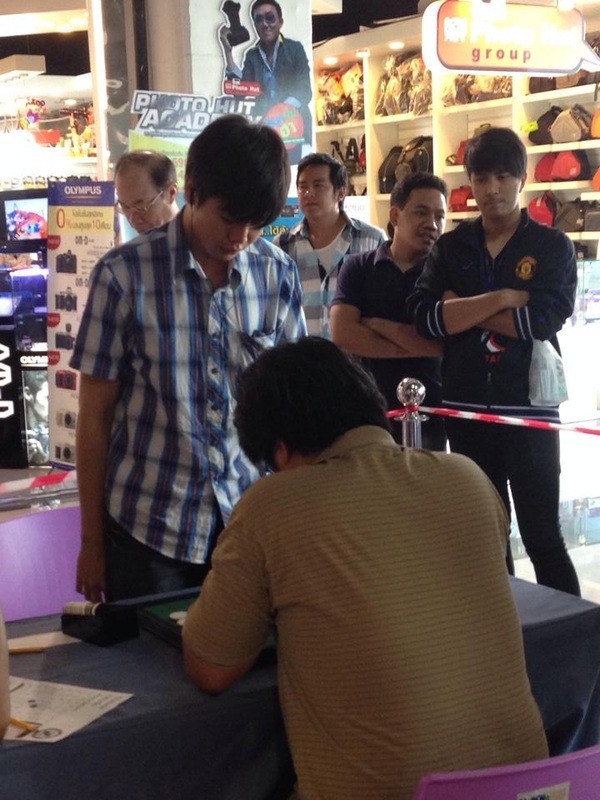 We will be competing to see who qualifies for the World cup being held in Thailand. 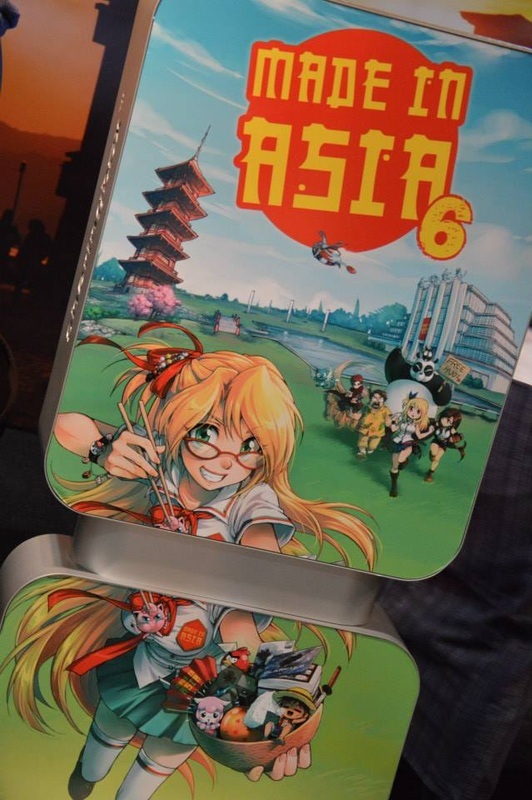 Australia is very happy to have the World cup being held in Thailand so close to our home, and so we are all fired up for this event. If you wish to participate then please see the details (right) or simply click this link. 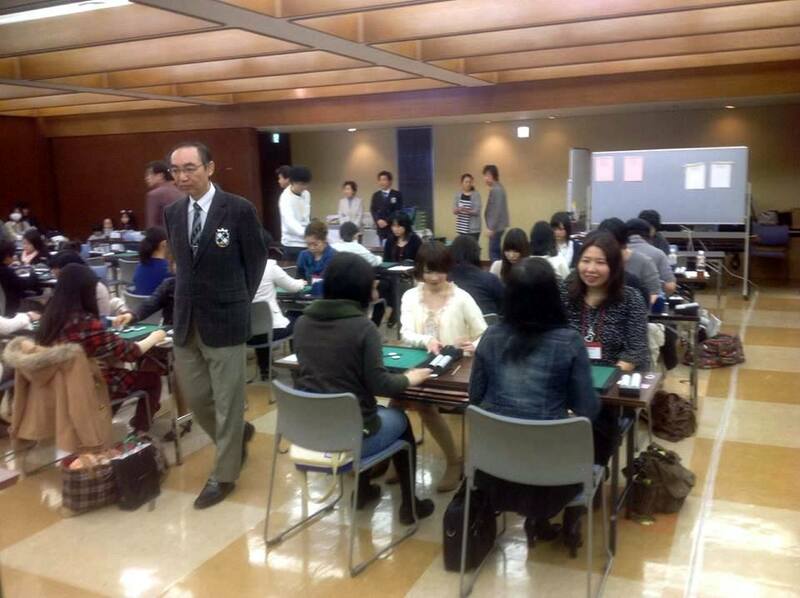 Competitions for Ladies, High School Students, Junior High School Students and Elementary School Students on the first day of this Meijin-weekend. Daisuke Kamikura and the two brothers Daichi and Takumi Kitano are all students at Tetsuya Nikajima's online Othello School. 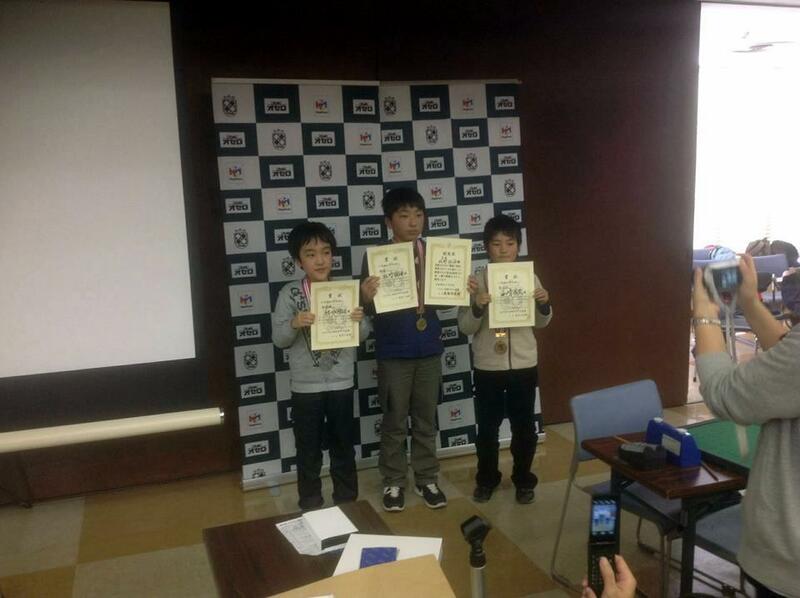 Their teacher did not win the Meijin-Sen but finished 11th with 5 wins. 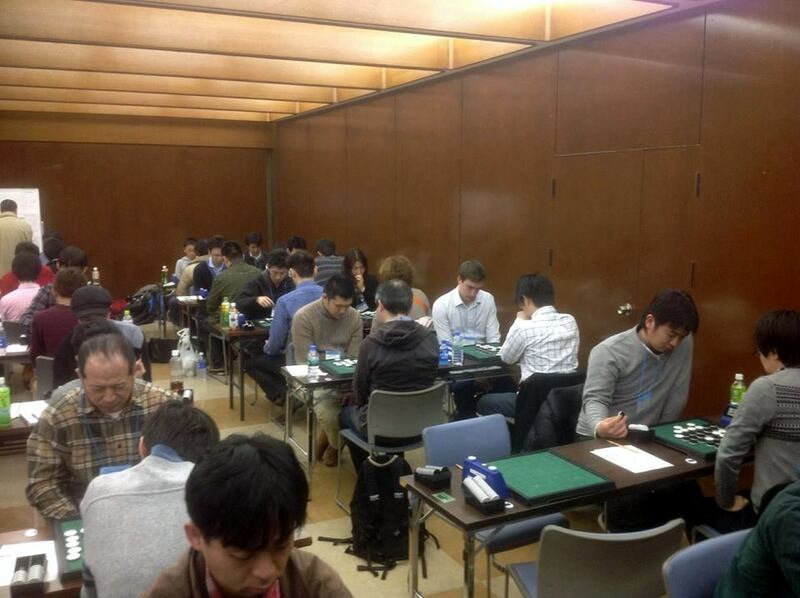 Not bad in a field of 134 players! 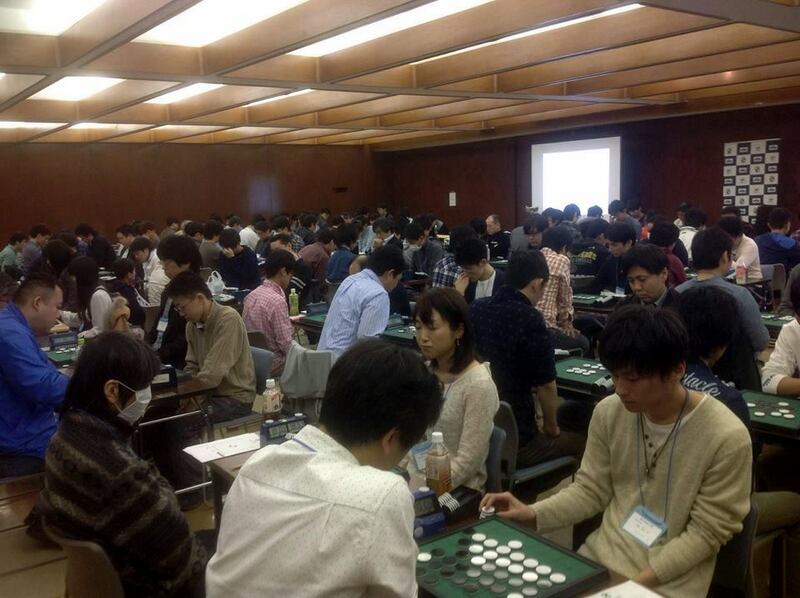 On the second day of the Meijin-Sen the battle was on for 134 players, all eager to win the beautiful trophy. 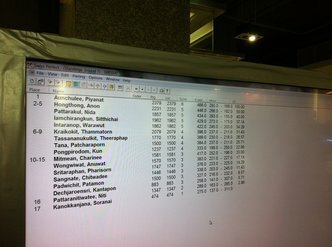 Makoto Suekuni and Takashi Yamakawa qualified for the semifinals with 7 wins, both achieved a perfect score after 7 rounds. 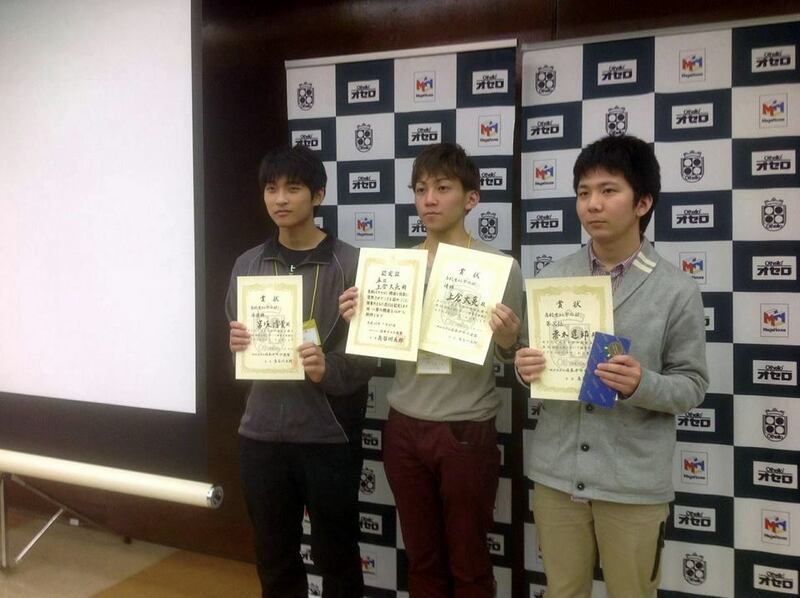 The other 2 semifinalists, Tetsu Satani and Yuji Miyazaki (All Japan Champion 2013) had 6 wins. 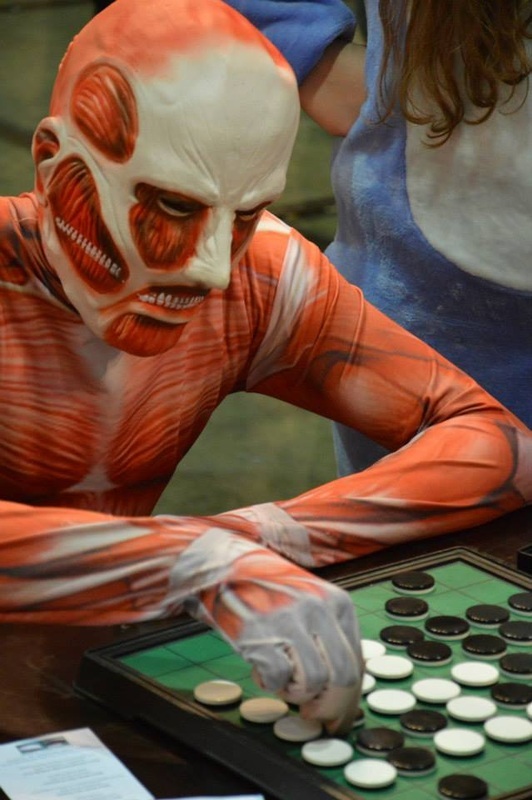 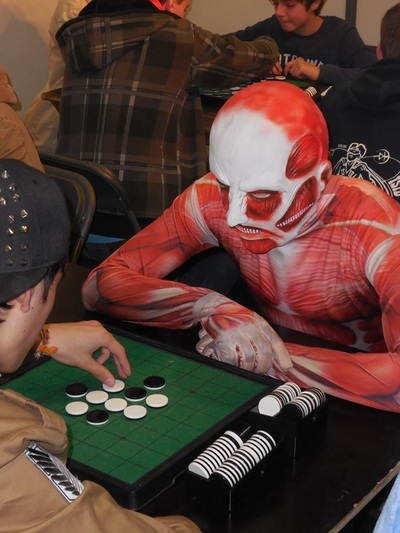 The Meijin winner of 2013, Kazuki Okamoto, also had 6 wins after 7 rounds but just missed the semifinals. In the semi-final Takashi Yamakawa played a draw game against Tetsu Satani and so did Makoto Suekuni against Yuji Miyazaki. The "draw win for black" rule advanced both Yamakawa and Suekuni to the final. 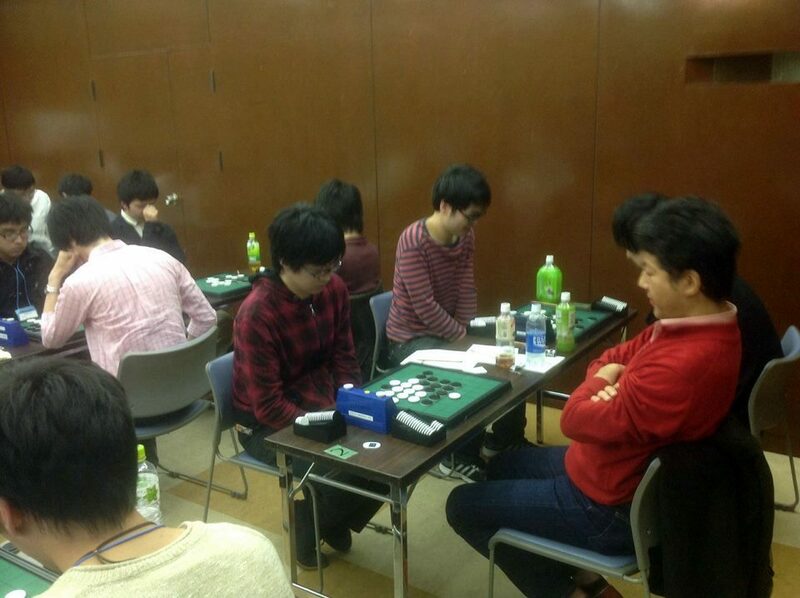 The 1-game final was won by Makoto Suekuni 41 - 23. This is Makoto's 5th Meijin-Sen victory. 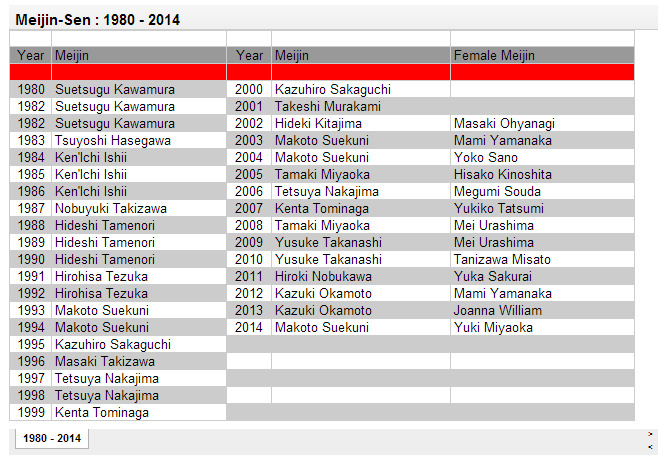 He won the Meijin for the first time in 1993 and he won again in 1994, 2003 and 2004. 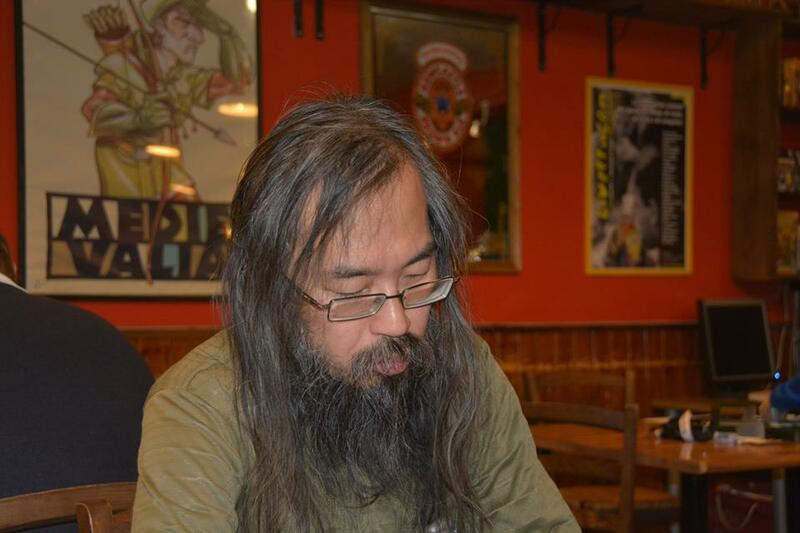 In 1997 Makoto Suekuni won the All Japan Championship and the World Othello Championship in Athens. He reached the WOC final again in 2003 and 2004 ( lost to Ben Seeley) and in 2006 (lost to Hideshi Tamenori). 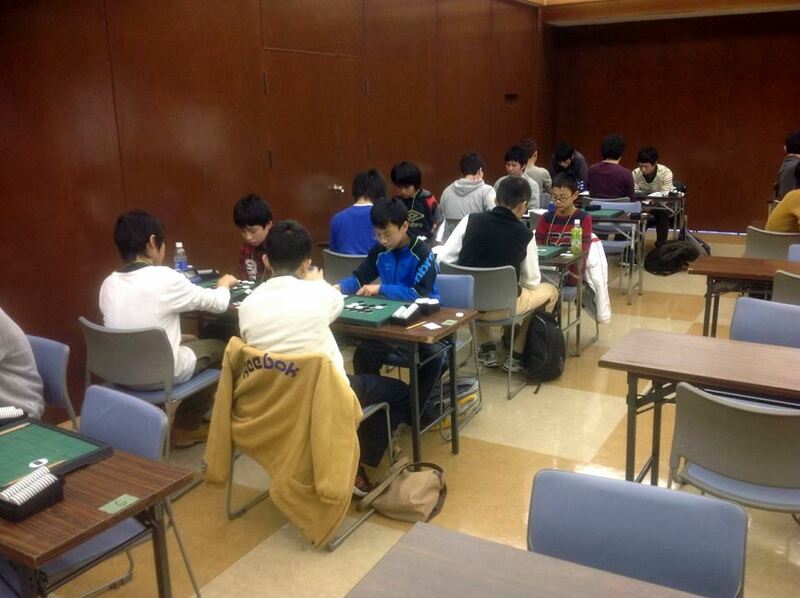 "This is my game against Yamakawa in the first round. 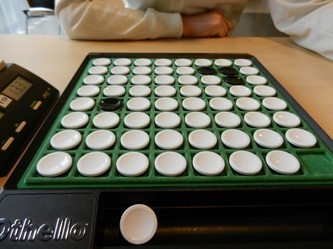 I was playing well until move 40, which was a big mistake. 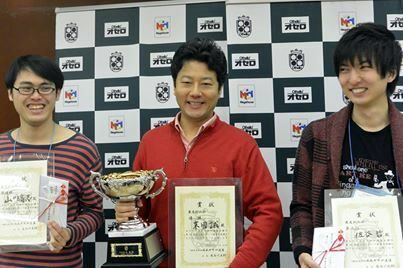 Yamakawa’s 49 was an excellent move, which lost several discs but made the rest of the game a straightforward win for black." 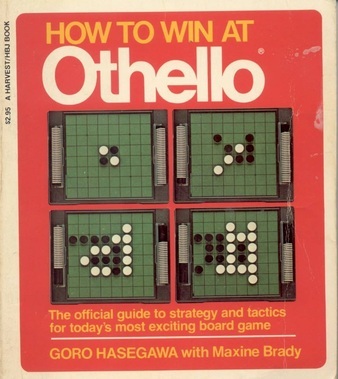 There was also a small 2 round 8-star Othello tourney. Only four players participated and the winner was Takashi Yamakawa with 2 wins. 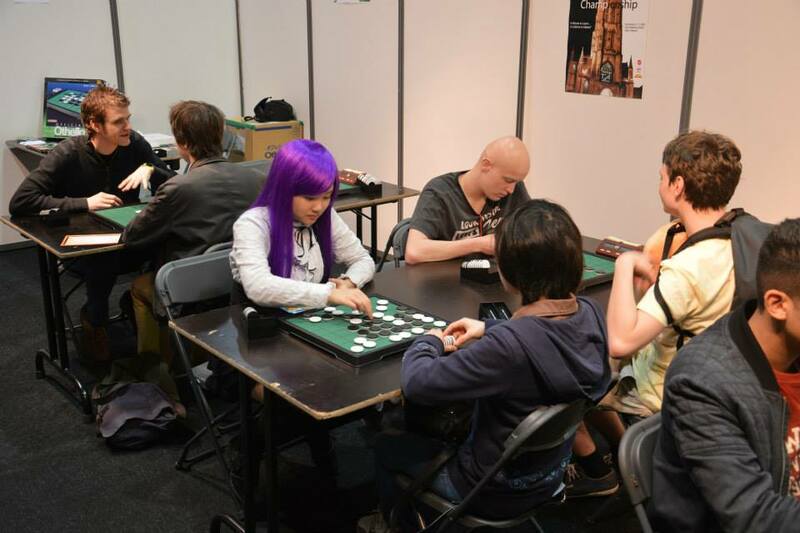 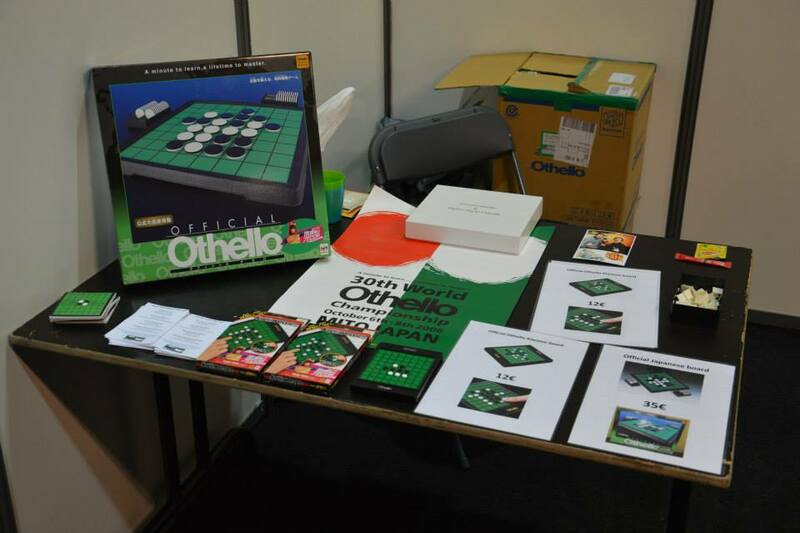 The Belgian Othello Association had a stand at the Made In Asia Expo for the 3rd year in a row. 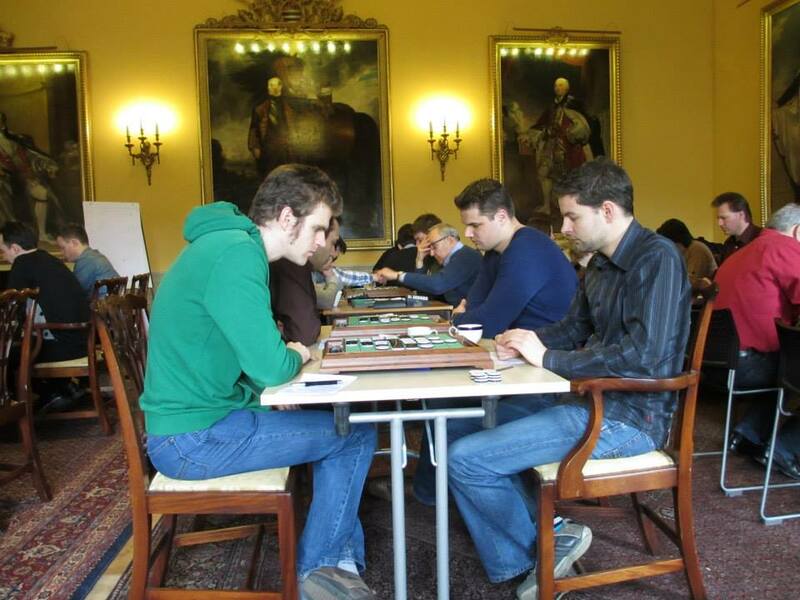 Tom Schotte, Jeroen de Wael and Martin Fransen (NLD) were present to promote the game. A lot of expo-visitors stopped at the Othello stand to play a game. 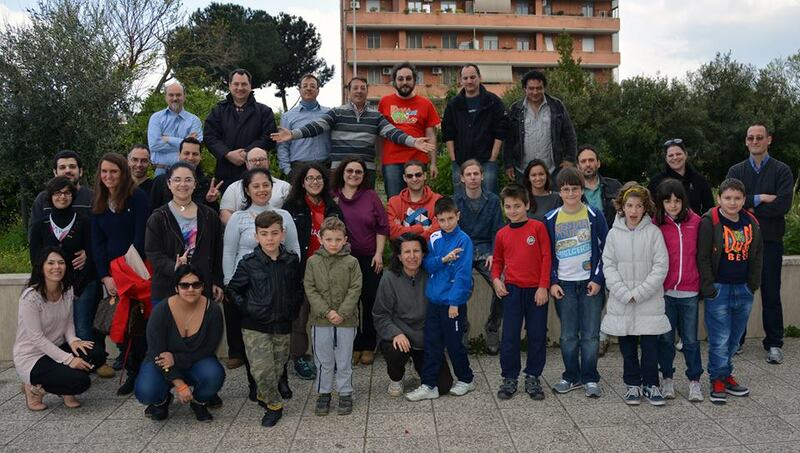 Lots of colourful and fun people! 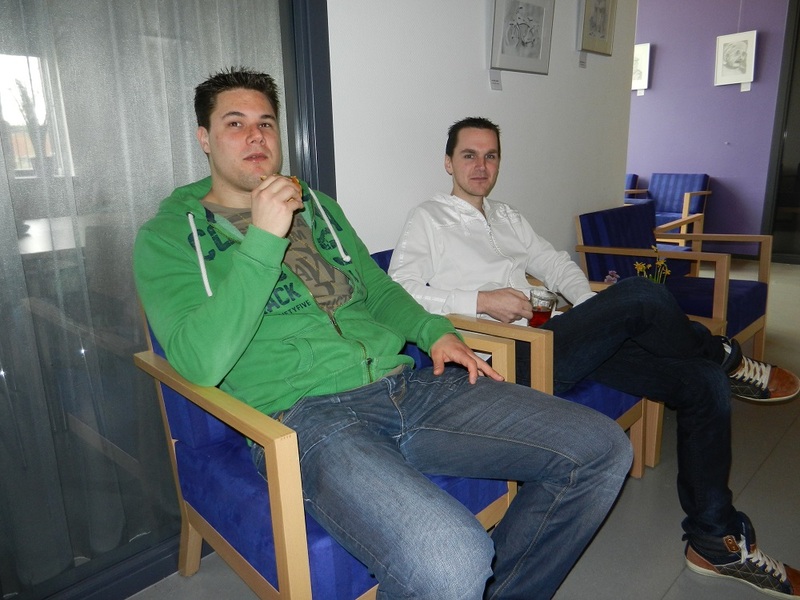 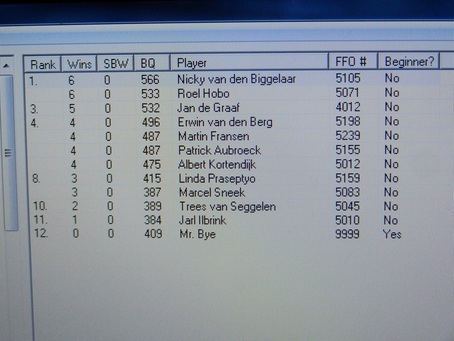 Two players finished with 6 wins, Nicky van den Biggelaar and Roel Hobo. 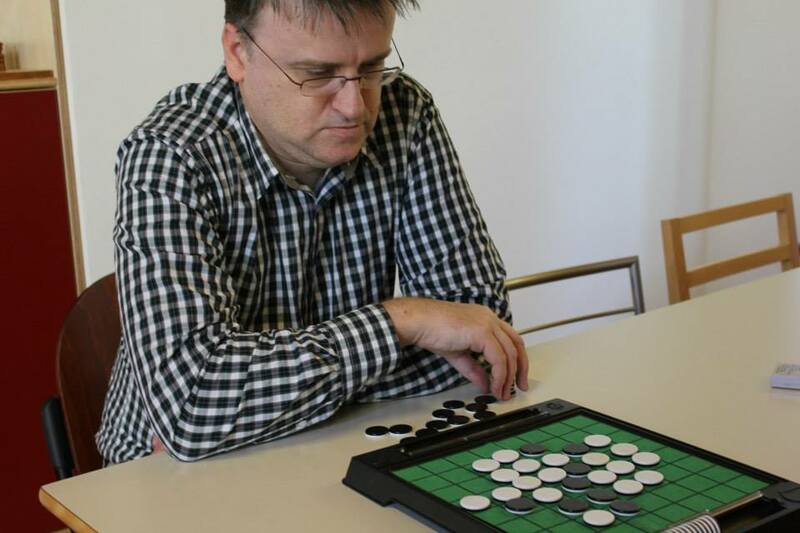 Nicky started the tourney with a 4 - 60 victory against the Othello News editor and only lost against Patrick Aubroeck in round 6 (31 - 33). 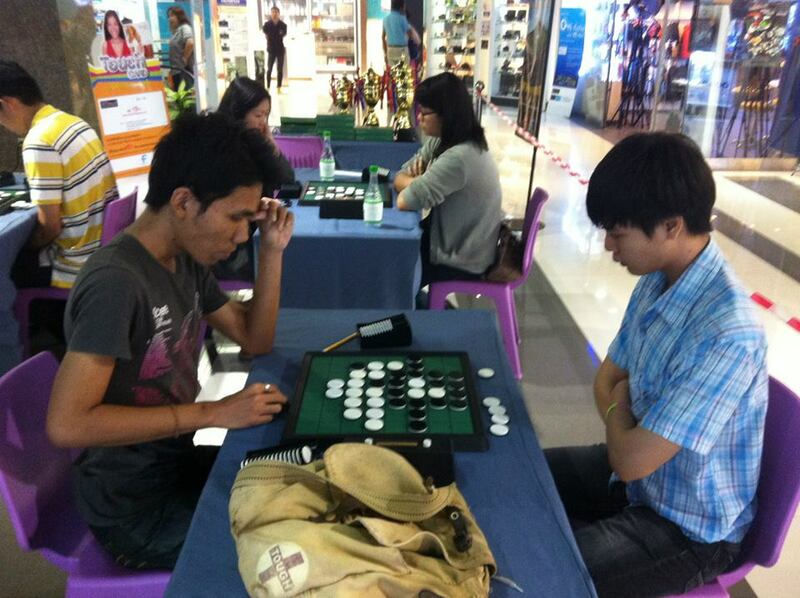 Roel Hobo lost to Nicky in round 4 (23 - 41). 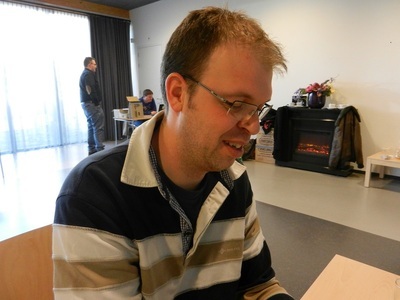 Third place with 5 points for Jan de Graaf. Dorpshuis Het Bosch is a very nice venue, thanks to the Dorpshuis staff for the nice welcome and lunch. 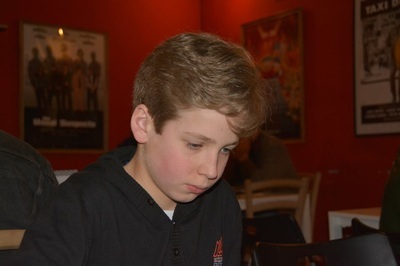 SEGGELEN Trees van 4 - 60 BIGGELAAR Nicky v.d. 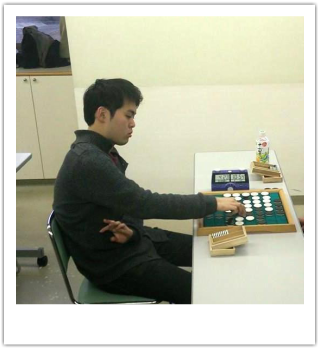 After his victory at the Sea of Japan tournament in February, and the Kanagawa Open last week, another 6-win victory for Takashi Yamakawa. Next weekend Takashi plays at the Kawagoe Open and the weekend after that ..... the Meijin-sen. 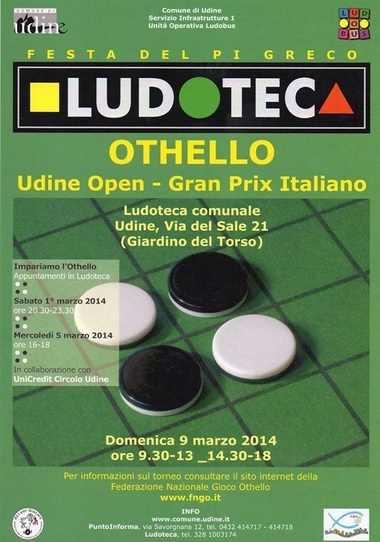 It's not a great surprise that Alessandro Di Matei won the Udine open with a perfect score of seven wins. 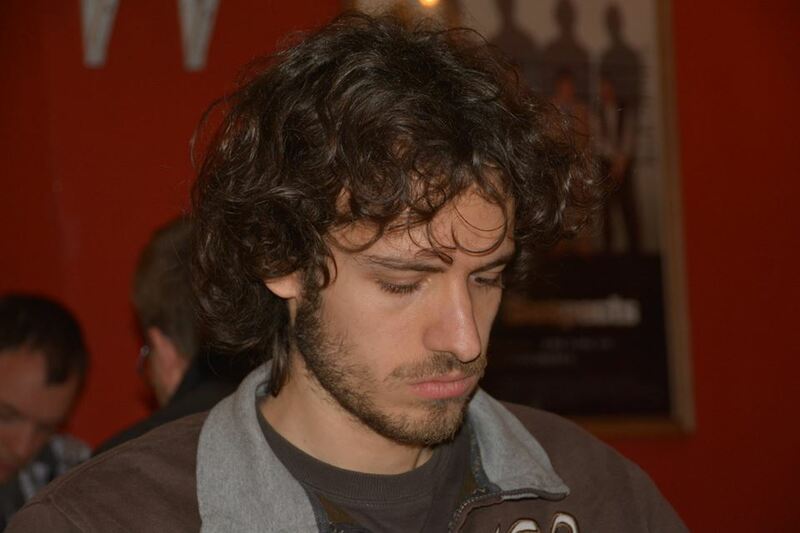 A very well deserved second place for Gianluca Ilacqua with 6 wins and third place with 5 wins, Francesco Marconi, who won the Udine Open last year. 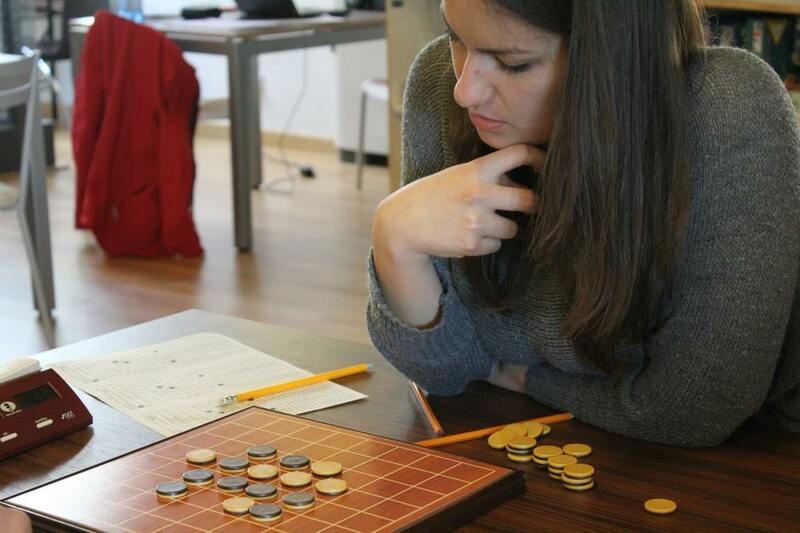 Excellent fourth place for Giulia Debertolis. The major of Udine, Furio Honsell, also participated, just like last year. Here is a new online photo album dedicated to the early years of Othello in Italy and worldwide. So far only 18 pictures, but Biagio Privitera will surely add more. In the afternoon the players gathered for this year's second Ile de France tournament. 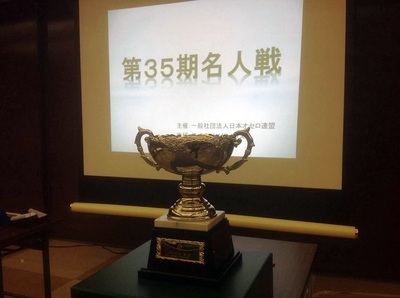 The latest classification of the Grand Prix of France will soon be available here. 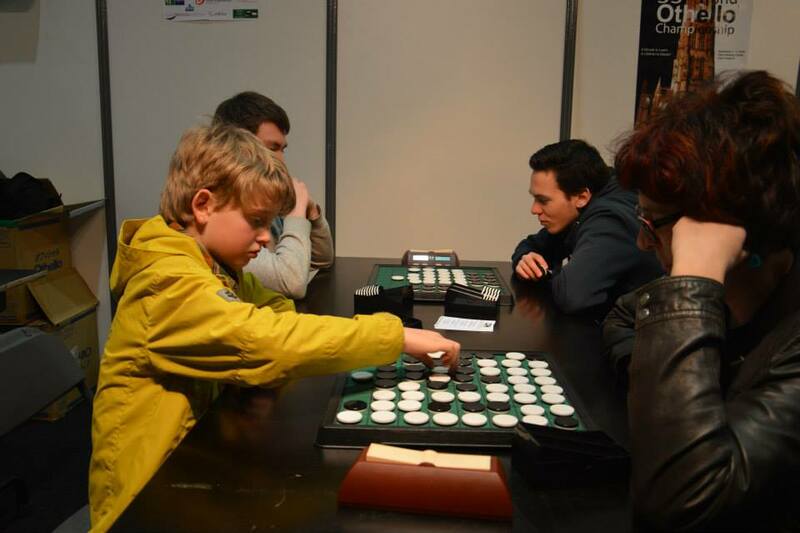 Next Tournament in Ile- de- France : IdF3 Saturday, April 5 . After his victory at the Sea of Japan tournament in February, yet another win at a major tourney for Takashi Yamakawa. 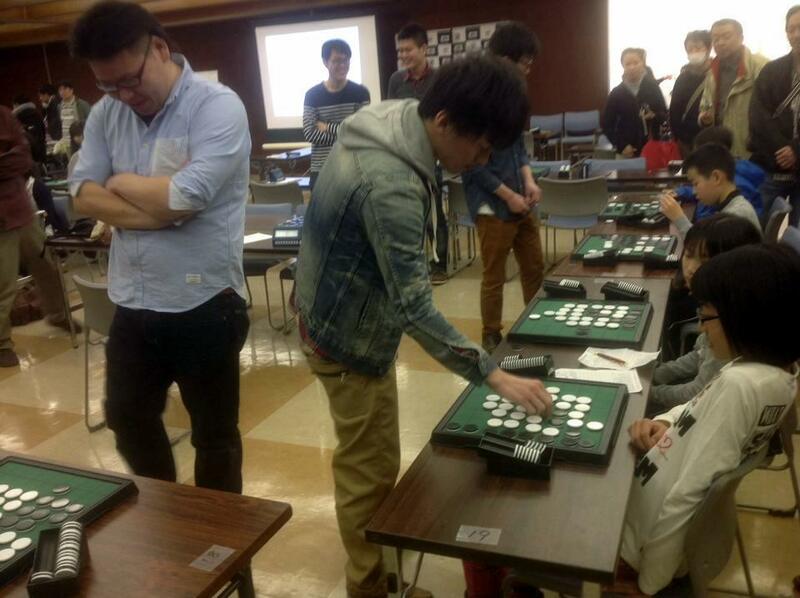 Takashi started the tourney with a win against Yusuke Takanashi and from then all the games were his. 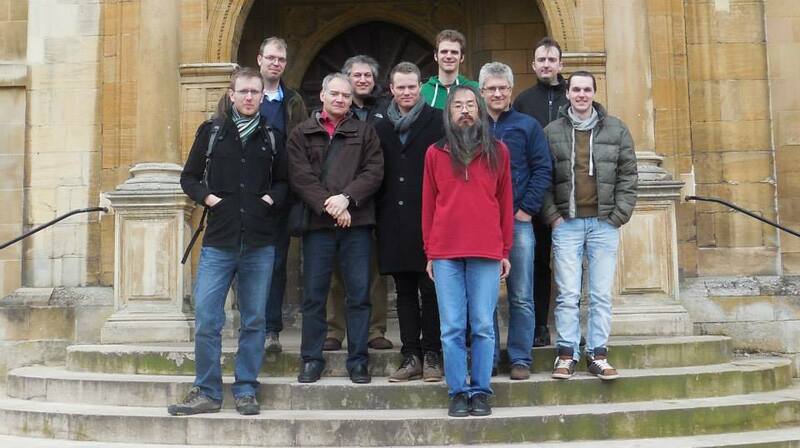 10 players were present who already won an EGP tournament. 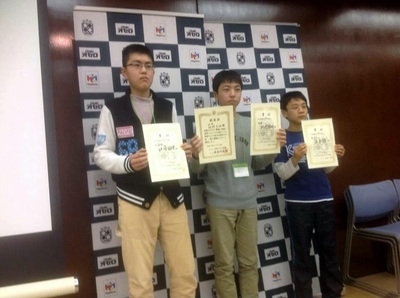 This tournament included, these players are totalizing 59 victories, which is a RECORD! Ken Stephenson is as of now the oldest participant of an EGP tournament, aged 79 years. 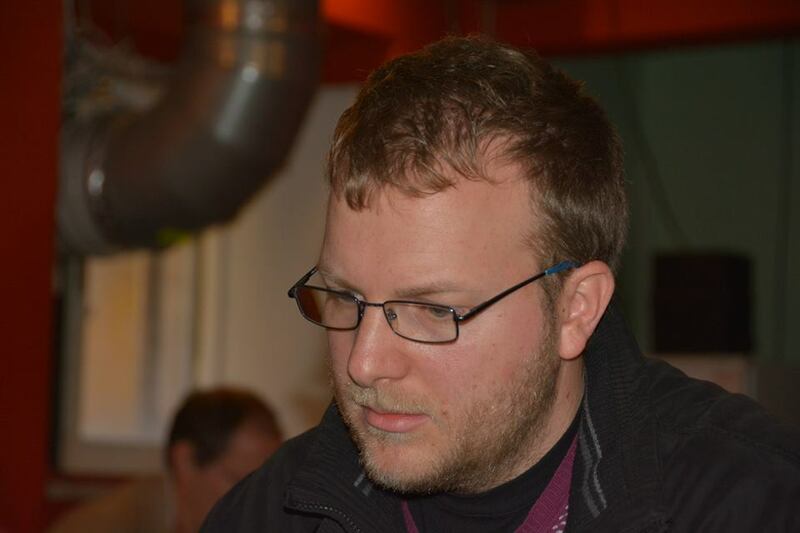 Danish player Mikael Martensson, the previous record holder would be able to break this record and set it at 81 if he participates the Copenhagen EGP later this season. 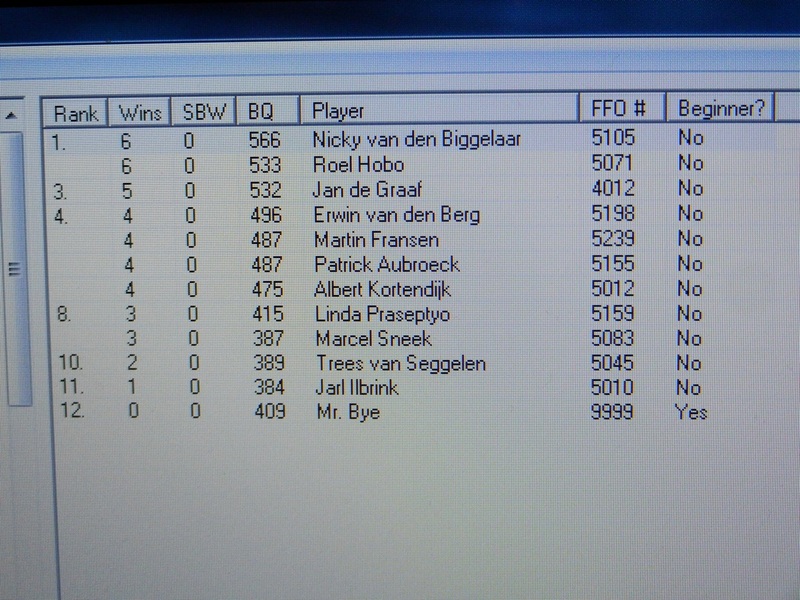 Nicky van den Biggelaar is the 2nd youngest player ( -far- behind Michel Borassi) to win his 5th EGP tournament. 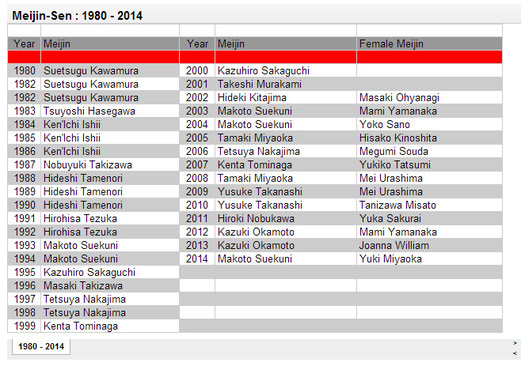 Imre Leader was just 32 days older when he achieved the same in 1991. 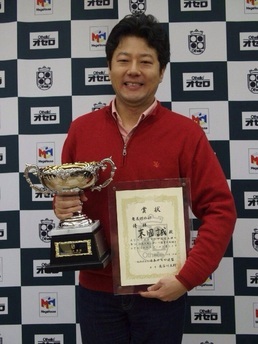 Takuji Kashiwabara played his 99th EGP tournament. Rome end of March will be his 100th.